This is so easy to prepare, print and laminate for durability. Pick a letter that you wish to use that suits your child's interest. 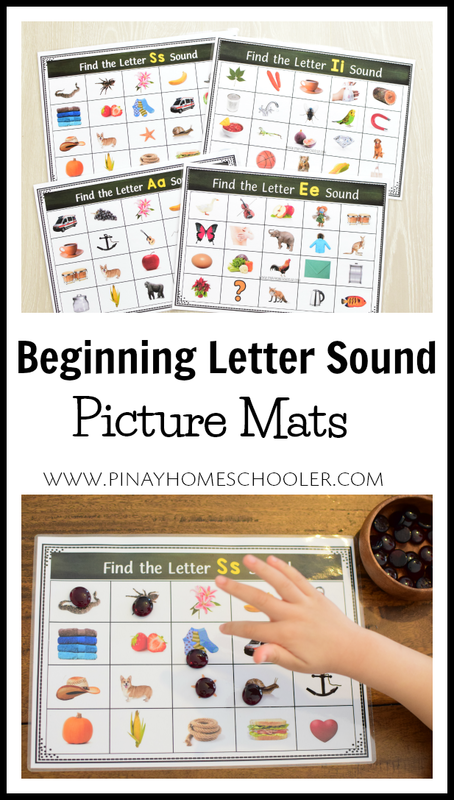 Then use any kind of manipulative to mark the picture that begins with the letter sound indicated in the sheet. You've seen this a lot of times being used in my Instagram and it's one of my favorites on the spot learning activity whenever Vito wishes to "play". The best part of this learning material is that it contains clear real images of objects and is perfect for young learners. If you would like a copy, click here or the image below. Happy learning!